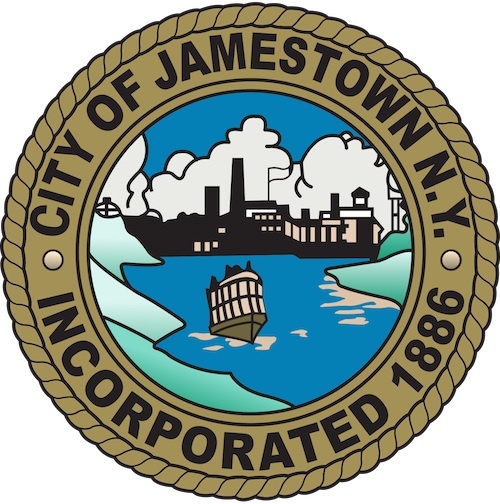 JAMESTOWN – The Jamestown City Council held its inaugural voting session on Monday night at City Hall. Councilwoman Marie Carrubba (D-Ward 4) was tapped to replace previous council president Greg Rabb, who lost reelection in November. She has served on the city council since 2013 and has chaired the council’s housing committee and also served on the public safety committee. As city council president, Carrubba will preside over all council meetings, appoint its standing and special committees, and perform the duties of mayor in his/her absence. Carrubba will also serve as co-chair of the city’s Strategic Planning and Partnership Commission and was appointed by Mayor Sam Teresi to serve on the Jamestown Board of Public Utilities (BPU). Carrubba is just the second woman to serve as council president, following former council women Dr. Lillian Ney, who was council president a little over a decade earlier. Rabb, meanwhile, will remain active in city government with a seat at the BPU and on the city Planning Commission. Rabb was appointed by Teresi to serve on the BPU to replace outgoing member Tyler Case. Rabb previously served on the BPU while president of the city council. Case, meanwhile, was appointed to the Jamestown Local Development Corporation. For the first time in its history, a majority of women will hold seats on the City Council. Joining Carrubba are council members at large Kim Ecklund (R) and newcomer Vanessa Weinert (D), along with councilwoman Vicki James (D-Ward 3) and Maria Jones (D-Ward 4). Jones will continue serving on the BPU. Ecklund will serve on the JLDC board. Councilman Tony Dolce (R-Ward 2) will once again serve as the council’s finance committee chair. City resident Tim Smeal was appointed to the JLDC as a representative of the Manufacturers Association of the Southern Tier (MAST). Smeal currently serves as Director of Development at Jamestown Community College and previously had served on the mayor’s ad hoc Downtown Parking Committee. Also appointed to another four-year term to Public Safety Director was Jamestown Police Chief Harry Snellings, who’s held that dual role since 2010. A Complete list of appointments is available below. Prior to voting the council members took their oath of office. 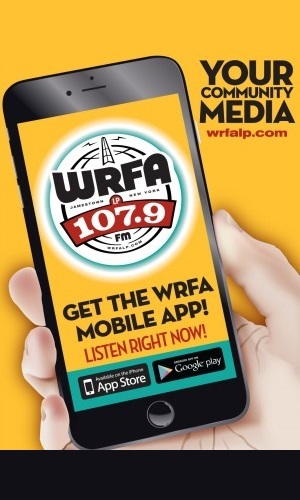 Joining Carrubba, Ecklund, Weinert, James, Jones and Dolce were returning council members Brent Sheldon (R-Ward 1) and Tom Nelson (D-Ward 6) along with newcomer Andrew Liuzzo (R-At Large). Liuzzo was the only council member to vote “not” to electing Carrubba as president. In all Carrubba received five nominations as president (all from the Democratic members of the council). Others who received nominations were Dolce (two nominations from Sheldon and Ecklund) and Ecklund (one nomination from Dolce). Liuzzo had nominated Jones. Once nominations had ended, Liuzzo made a motion to vote for the president by secret ballot rather than a roll call vote. His motion didn’t receive a supporting second and was declared dead by city clerk Todd Thomas. The council then voted 8 to 1 in favor of Carrubba as president. Liuzzo also voted against Teresi’s 27 agency appointments, which were blocked together into a single vote. After the appointments were announced, a motion was made to suspend the rules and vote on the appointments collectively, to which Liuzzo voted “absolutely no.” He also voted “no” on the actual appointments. All other council members supported both the motion to suspend the rules and the actual appointment vote and they passed 8 to 1. The Council’s first work session of the new year is set for Monday, January 22 at 7:30 p.m. in the Mayor’s Conference Room (4th floor) of City Hall.